Despite the fact that Donald Trump received only 18 percent of presidential votes citywide, he’s getting a surprising show of NYC support when it comes to his $20 billion border wall. 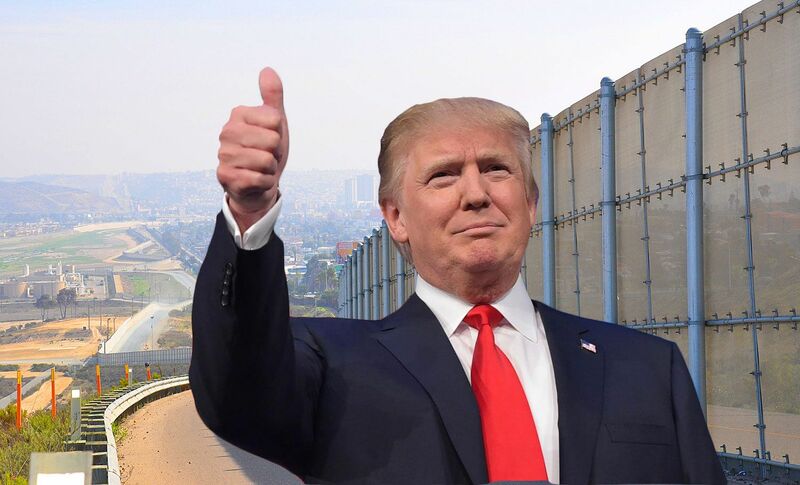 Crain’s reports that 11 New York-based firms, including contractors, architects, and “little-known small businesses,” have expressed interest in the project, seemingly undeterred by legislation proposed last month that would bar the city from signing contracts with companies involved in the wall. Though some of these applicants support Trump’s true intentions, others have taken a more creative approach, using the submission process as a way to support immigration and co-existence. Those who have submitted from NYC largely believe that the wall itself isn’t enough to prevent illegal crossings. Of the minimum depth, Dennis O’Leary of DarkPulse Technologies said, “A dog could dig that hole if you threw its bone down there.” His company’s patented monitoring products look at large pipelines and seismic activity in the rock walls of mine shafts. O’Learly, a former NYPD narcotics officer, proposes a fiber-optic cable network that would be embedded in the dirt along the wall and within the actual concrete to detect changes in the environment. He says it’ll cost about $88,700 per mile, which comes out to $110 million for the 1,250 miles that aren’t currently barricaded. On the other end of the spectrum, architect Victoria Benatar, who’s also a part-time faculty member at The New School, is putting forth what she calls “the anti-wall,” a series of cultural centers along the border that would be open to both Americans and Mexicans as a way to learn about the other’s country. “I’d rather do something that helps grow and activate the border in a positive way,” she said. Queens-based architect Vijay Duggal wants to cover the barrier with solar panels and wind turbines to generate electricity, thereby addressing the controversy over who will pay for the wall. “I think Mexico will come as an investment partner, not as a reimburser. It really changes the dynamics of the debate,” he said. These firms could simply be clogging up the bidding system and therefore further delaying the start of this ridiculous project.